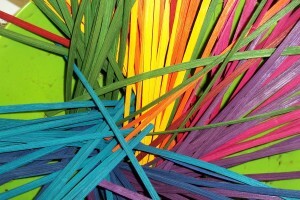 Procion fiber reactive dyes work well on reed. They are very color fast and rarely bleed, and while reactive dyes do require some temperature control, they don’t require high temperatures. You can buy Fiber Reactive Procion Dyes from Dharma Trading Company, ProChemical and Dye, and Jacquard; my preference is Pro MX® from ProChemical and Dye. In a large pot (stainless steel, enamel or glass), add enough water [room temperature (75°F – 95°F)] to cover reed and allow free movement. Soak reed for 10 – 30 minutes, then remove reed. Add new room temperature water to pot. Dissolve dye in room temperature water. Add to water. Dissolve salt in hot (120°F – 140°F) water. Add to dye bath. Put the material into the dye bath and agitate (stir) frequently. Leave reed in dye bath 1 – 3 hours. 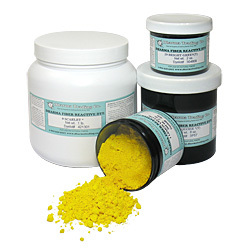 Dissolve soda ash in hot (120°F – 140°F) water and add to dye bath slowly. Leave in dye bath for up to 2-12 more hours. Rinse under cold running water to remove excess dye and allow to dry. I like the color results of using a reactive dye, however, there are a few things I dislike: 1) the reed sits in the water for a long time, compromising reed quality. 2) I am not sure how to dispose of the leftover chemical ‘soup’. Pro Chemical and Dye would not say it was safe for septic systems and their safety sheets are a little scary. For those of you who save dye – reactive dye is only good for one use. 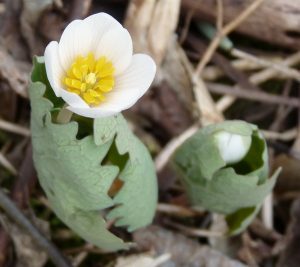 Onion skins, spider wort, marigolds, blood root, bark, nuts even insects can provide a natural dye. Some of these dyes are very colorfast, others fade quickly. Some need to be gathered and dried, others can be used fresh. Just because a dye has a natural source does not mean it is non toxic, some natural dyes are very deadly. Basket Tree Dye is a direct dye which is specially formulated for reed. Diazol® and Pro Chemical and Dye® make direct dyes. Direct dyes tend to not be very colorfast, however adding a surfactant and a dye fixative improve color fastness. Color depth is achieved by using high temperatures and leaving the fiber in the dye vat for a long time. Use a stainless steel or enamel pot. Add warm water (enough to immerse reed). Add salt. Let reed soak in dye bath for 20-30 minutes. Remove reed and rinse in cold water. Make a new bath with warm water and fixative, soak reed for 20 – 30 minutes. Remove reed, dry completely. An all purpose dye is a mixture of two types of dyes: acid dyes for animal or protein fibers and direct dye for plant or cellulose fibers. 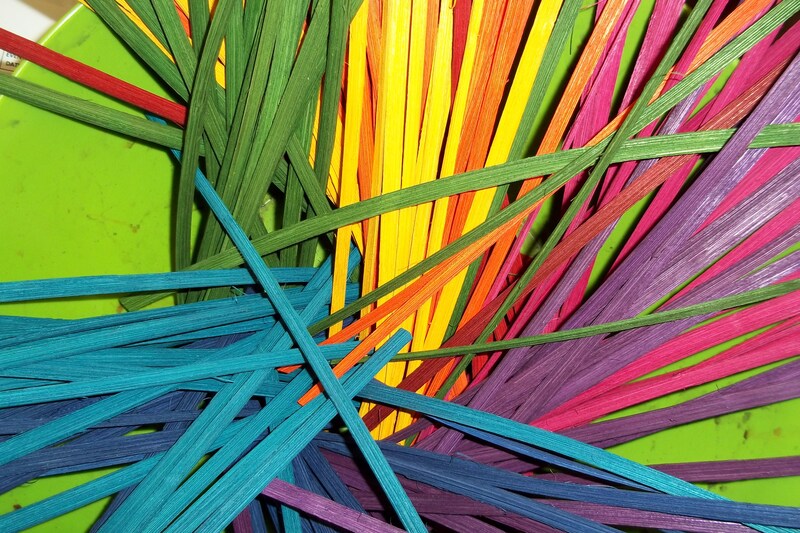 When used on reed, the direct dye adheres to the fiber and leaves the acid dye unused. Some professionals say that the acid dye in an all purpose dye may make reed brighter initially, but it does not add colorfastness. 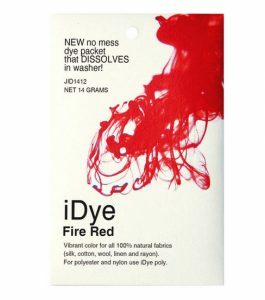 The procedure for using an all purpose dye is the same as a direct dye (above), however almost all purpose dye formulas include surfactants and salt, so it is not necessary to add them. Direct dyes and all purpose dyes can be saved (refrigerate to discourage mold growth) and reused, however the dye becomes less effective with each use. Cold dye can be used for an over dye on a basket, but to get lasting color you must reheat the dye before using. As the dye is used up it provides a paler color; direct dye has a life, once the dye is spent, it is best discarded. 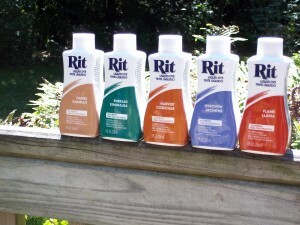 Personally, I have good results dyeing reed with Rit® using my method of heat and time. The well water I use has been softened and has a slightly elevated pH, so I don’t add any chemicals or even salt. 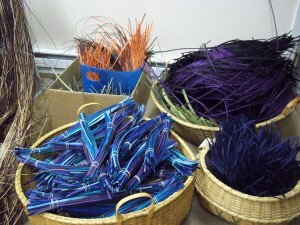 To read more about how I dye reed, read my post, Dyeing – my way. 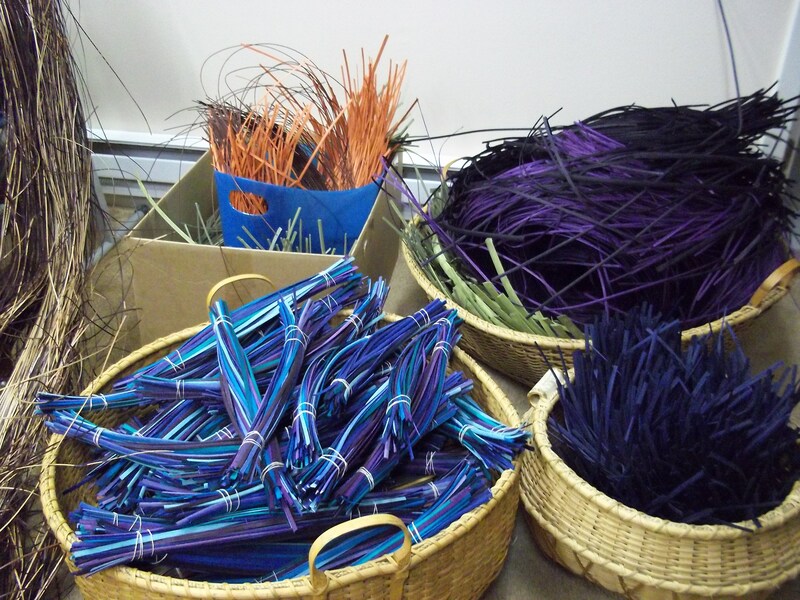 Dyeing Reed 101 – complete! Okay – so that was a lot of information! I hope that you have found these posts helpful. Thanks for all the info Annetta. Have a great time at Stowe! Oh Mary it was wonderful – and I got to take a class! Can’t wait to tell you about it! I just dyed some reed with Red Cherry Rit Dye. We have hard well water so I added some Borax to soften and some Baking Soda. The color looked perfect when the reed was we,t but now that it has dried it looks a deep Rose color. Not the Bright Red Cherry I was hoping for. Judy, I would leave out the baking soda, the borax should be enough to neutralize the water. The problem may have been that the reed needed more time in the dye bath. The reed should be a shade or two darker when wet than you actually want it. So, when the reed is in the dye pot and it is the perfect color, leave it in until it is a shade or two darker. Then when it dries it should be the color you want.